If you are looking to buy a timeshare in the UK, whether it is in Scotland, England or Wales you struggle to find better than Macdonald Resorts. Macdonald pays great care and attention to ensure that your holiday experience at one of their timeshares is the best around and will not disappoint. Look no further than Travel & Leisure Group if you are buying Macdonald Resorts Timeshares or looking into selling Macdonald Resorts Timeshare, with over 25 years of success behind us, we know you cannot go far wrong. With Travel & Leisure, when you buy Macdonald Resorts Timeshare through us you are buying privately from existing owners and can stand to save around 50% on the list price when bought direct from the resort or developer. This is done by cutting out the costs of marketing done by the developer which can be at least 40% of their asking price. For more information about any timeshare properties please call us Free on 0800 071 4674 or fill in the Buy Macdonald Timeshare form and we’ll call you back to discuss that or any timeshares we have on our extensive database. Selling Macdonald timeshare has never been easier than with Travel & Leisure, all you need to do is call us on 0800 071 1372 or complete our sell Macdonald timeshare form for a FREE valuation, registration, more information and a guide to the prices of our advertising. We’ll always call you back for a no obligation discussion and assess what best suits your needs. Take a look at out our testimonials page and you’ll be able to see a small selection of the feedback we receive from happy customers. Macdonald Vacation Club The hint to timeshare owners is the name, Macdonald Resorts, a thoroughly Scottish name for a thoroughly Scottish timeshare experience. With resorts three resorts located in Scotland, you can see where this comes from; Macdonald Lochanhully Resort, Macdonald Spey Valley Resort, and Macdonald Forest Hills Resort are all set in the beautiful surroundings you’d come to expect, not to mention the great facilities and activities to give you that perfect vacation. Macdonald Resorts timeshares can also be found at Macdonald Elmers Court Resort in England, just on the edge of the New Forest and in Wales at Macdonald Plas Talgarth situated in the beautiful Snowdonia National Park. Macdonald Resorts also has four 5 star timeshare for your selection if you want to escape the milder UK climate for some Spanish sun. To view Resales and Rentals click Macdonald Vacation Club. Macdonald Lochanhully Resort Timeshare Resales Lochanhully, located just 10 km from Aviemore, Britain’s well-known ski-resort and year-round holiday centre. Macdonald Resorts at Lochanhully is the perfect place for those who want to get away from it all in simple, compact chalet style accommodation. In the grounds there are tennis courts as well as bird watching and fishing. Indoors, there is a small pool, sauna, solarium, steam room and games-room. To view Resales and Rentals click Macdonald Lochanhully. 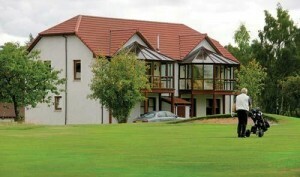 Macdonald Spey Valley Resort Timeshare Resales. The apartments of Spey Valley are set in acres of mature woodland on the banks of the River Spey, against the rugged mountain backdrop of the Cairngorms. The year-round sports mecca of Aviemore and its ski slopes are close by and within easy reach are Inverness and Loch Ness. On site there is a 9-hole golf course, indoor swimming pool, indoor and outdoor tennis, badminton, children’s playground, gymnasium, whirlpool bath and sauna. 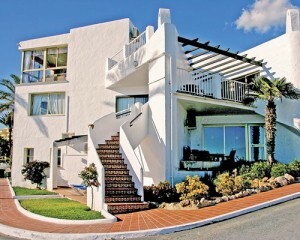 To view Resales and Rentals club Macdonald Dalfaber. 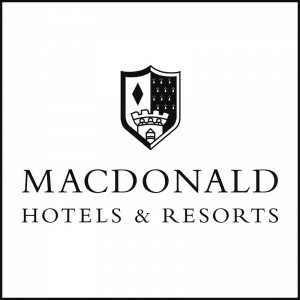 Operating for over ten years Macdonald Vacation Club offers members access to a distinctive selection of resorts and hotels including luxury four star hotels in city centres and countryside locations. With Macdonald Vacation Club members can choose where they go and for how long. Members can even choose the style and size of accommodation whilst feeling confident about the quality of the resort whilst staying at a Macdonald Hotel or taking advantage of their exchange partner RCI. Macdonald Vacation Club offers members access to their full range of resorts in Spain including beachfront locations Calahonda and Malaga plus access to some of the best golf courses on the Costa Del Sol. With Macdonald Vacation Club members gain access Macdonald's full range of golf and spa resorts and 45 hotels across England and Scotland. Members can even use their points going on one Macdonald's Cruises allowing members to book a cruise holidays to destinations in Europe the Mediterranean and the Canary Islands. With Macdonald Vacation Club members will find the high quality accommodation in most hotels and resorts offer their own leisure clubs, indoor pool, sauna, whirlpool spa and bath, steam room, sun beds and gymnasium. Resorts also offer guests access to a wide range of local amenities such as golf courses, tennis, fishing and mountain biking. 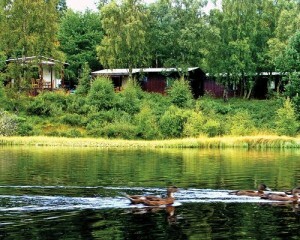 Visitors can also explore woodland territory and trails at resorts across the England and Scotland. Furthermore Macdonald Vacation Club membership gains members' access to an exclusive range of services such as the dedicated reservation service where representatives will do all they can to help with reservations. Members can also use RCI Travel to book flights, car hire, insurance and tickets at local attractions plus gain access to some of the very best cruise lines in the world. For more information about timeshare for sale at Macdonald Vacation Club click here. In Aberfoyle, Scotland, on the bonnie banks of Loch Ard is where you will find timeshare with Macdonald Forest Hills Hotel and Spa. This resort is an ideal place to come to when what you're looking for is the opportunity to relax and get lost in life's simpler pleasures. The pace of life here is light and settled, with lots of focus on nature and picturesque views of the loch-right from your balcony depending on your apartment. The grounds stretch for twenty-five acres of rolling foothills and breathtaking natural beauty, giving you a stunning base from which to explore the local area. Accommodation throughout the resort is of a consistently high standard, with options ranging between one, two, and three bedroom apartments. All have balconies, and some feature en-suite saunas so that you can truly make the most of your relaxing time away. Leisure activities are varied, from the indoor pool and spa facilities, to mountain biking, canoeing, and trout fishing. You can even tour local distilleries and partake of a sip or two at the local bar. For an ideal escape, Travel and Leisure Group highly recommends considering timeshare at Macdonald Forest Hills Hotel and Spa. For more information about timeshare for sale at Macdonald Forest Hill Hotel & Spa click here.